With X, Y, Width and Height you define the trackplan block on which you want to operate. Where should the move or copy go? 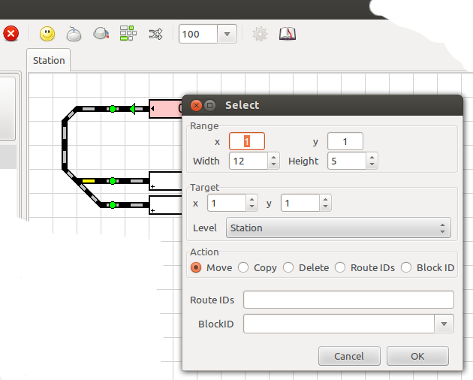 By selecting a different level it can be moved or copied it into another trackplan tab. Select what you want to do with the block of symbols you defined in the range. Choose the Select menu item from the popup menu. 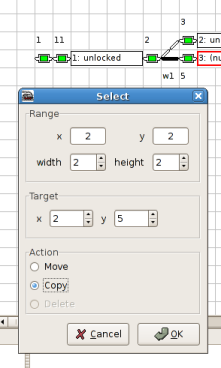 The dialog initialises the Range X and Y with the popup menu position and is the upper left corner of the selection. With the two spin buttons you can adjust the size of the block to move: width and hight. The Target X and Y will be the new position of the selection after the move. With Menu → Track Plan → Add track panel… create the new level (e.g. "3"). With Menu → Track Plan → Edit Panel activate the Edit mode. 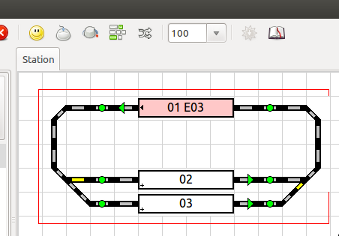 In the Track Plan view change to the old level (e.g. "6"). To capture all objects, the Zoom value may need to be reduced. 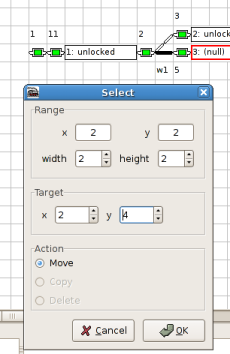 Select the new level ("3") in the field Target Level and choose the action "Move". Start the action with "OK". Now the empty level ("6") may be deleted with the Context menu "Delete track panel". 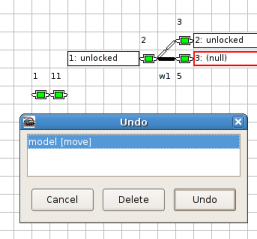 Open the Undo dialog and select the move you want to undo. The dialog initializes the Range X and Y with the popup menu position and is the upper left corner of the selection. With the two spin buttons you can adjust the size of the selection to copy: width and hight. The Target X and Y will be the position of the copied selection. The copied objects have the same ID as the original extended with a "-copy" suffix. It is recommended to edit the ID of the new object after you made a copy. The dialog initializes the Range X and Y with the popup menu position and is the upper left corner of the selection. With the two spin buttons you can adjust the size of the selection to delete: width and hight. Open the Undo dialog and select the delete you want to undo. With the "Route IDs" command all objects can be set to the desired Route IDs to be able the show which route has been set. 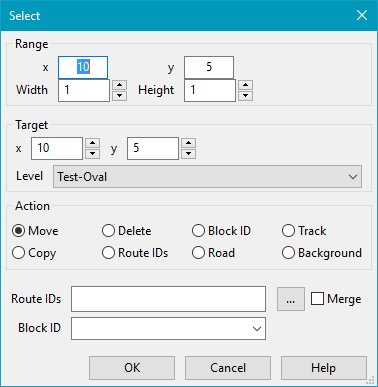 The merge option will add the new route IDs to the existing ones in the selected objects. 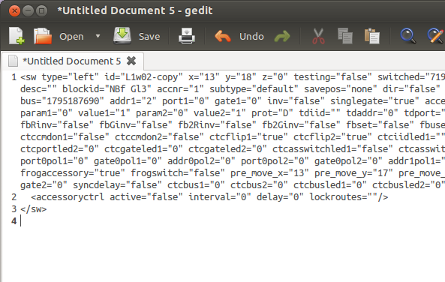 However, there is no check if a route ID already is in the comma separated list. 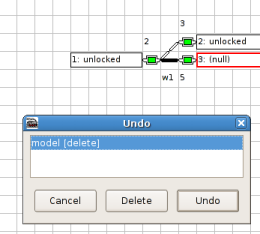 With the […] button a list of Route IDs can be selected. This selection is also copied on the clipboard. With the "Block ID" command all objects can be set to the desired Block ID to be able the show occupancy. Switch the selected objects to the Road or Track type. Set the background color of selected objects. To choose the color opens "OK" the Standard color dialog of the OS. In edit mode a rectangular area can be selected with the control key down, left mouse button down and dragging. The end point is free and may be in an object. In edit mode, and Multi Window View, a object can be moved from one panel to the other with the Alt key down, left mouse button down and dragging. In edit mode the ID in the clipboard can be used to add a route ID or to set the block ID by holding the shift key and clicking on symbols. Rocview distinguishes if the ID is a route ID or a block/sensor ID. Note: Rocview writes an empty string in the clipboard at startup. 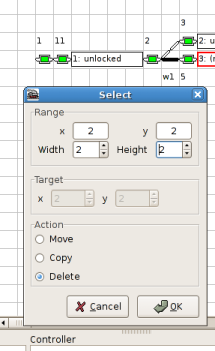 With the context menu of a symbol it can be copied to the clipboard and be pasted on an empty spot in the track plan. After paste a new ID will be asked if needed. The copied object can also be pasted in an editor to view or modify the definition in XML. If the modification should have effect on the next paste action the complete XML must be selected and copied to the clipboard.